As you might know, the word “paradigm” and the concept of a “paradigm shift” were made insanely famous by Thomas Kuhn’s classic book: “The Structure Of Scientific Revolutions“. Mr. Kuhn’s premise is that science only advances via a progression of funerals. An old, inaccurate view of the world gets supplanted by a new, accurate view only when the powerfully entrenched supporters of the old view literally die off. The implication is that a paradigm shift is a binary, black and white event. The old stuff has been proven “wrong“, so you’re compelled to totally ditch it for the new “right” stuff – lest you be ostracized for being out of touch with reality. In his recent talks on C++, Bjarne Stroustrup always sets aside a couple of minutes to go off on a mini-rant against “paradigm shifts“. Even though Einstein’s theory of relativity subsumes Newton’s classical physics, Newtonian physics is still extremely useful to practicing engineers. The discovery of multiplication/division did not make addition/subtraction useless. 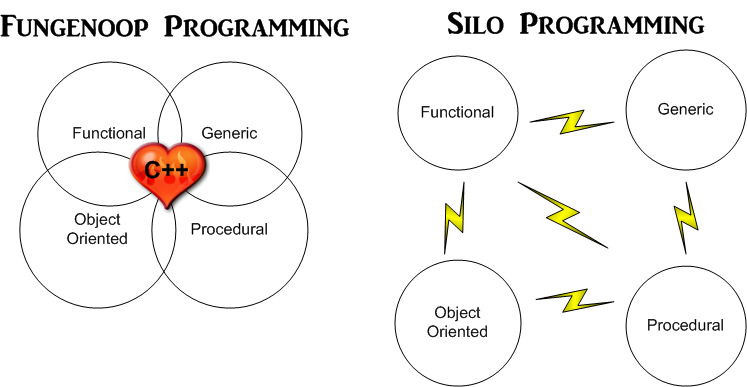 Likewise, in the programming world, the meteoric rise of the “object-oriented” programming style (and more recently, the “functional” programming style) did not render “procedural” and/or “generic” programming techniques totally useless. 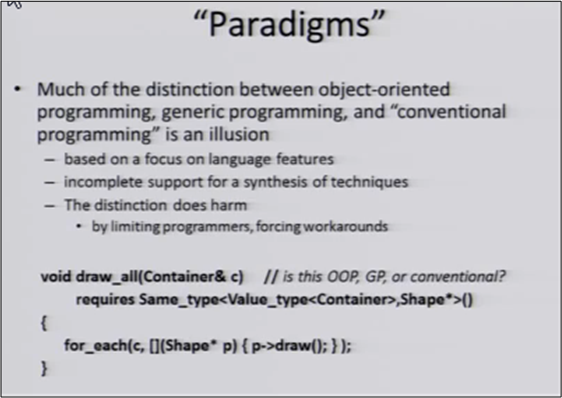 This slide below is Bjarne’s cue to go off on his anti-paradigm rant. If the system programming problem you’re trying to solve maps perfectly into a hierarchy of classes, then by all means use a OOP-centric language; perhaps Java, Smalltalk? If statefulness is not a natural part of your problem domain, then preclude its use by using something like Haskell. If you’re writing algorithmically simple but arcanely detailed device drivers that directly read/write hardware registers and FIFOs, then perhaps use procedural C. Otherwise, seriously think about using C++ to mix and match programmimg techniques in the most elegant and efficient way to attack your “multi-paradigm” system problem. 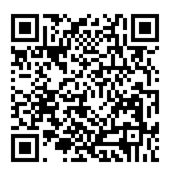 FUNGENOOP (FUNctional + GENeric + Object Oriented + Procedural) programming rules! thank you for the article ( and to Bjarne for his always welcome mini-rants 🙂 ), but, going somewhat offtopic, you got Khun’s idea quite the opposite it really is, that is as an inclusive progression of scientific discovery where the paradigmatic shift ( albeit abrupt and partly social in nature ) goes beyond but does not manifestly contracdict or “erase” or prove wrong previous knowledge.